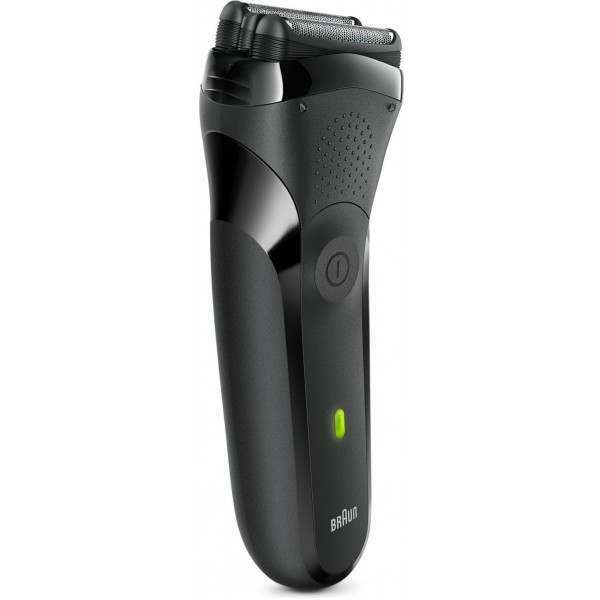 The Braun 300s Series 3000 3-Flex electric shaver offers a clean, close and comfortable shave with its 3-Flex shaver head adapting to all your facial contours. 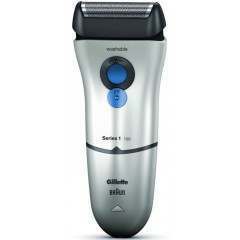 Ideal for those with sensitive skin, the shaver features Braun's SensoFoil for ultimate protection as you shave. The Braun Series 3 300s Rechargeable elctric shaver comes ina sleek, black finsih and is the ideal affordable foil shaver for working on tough beards, yet remaining gentle on the skin. The 3-pressure sensitive shaving elements adapt perfectly to every facial contour, ensuring every area of your face is clean shaven. 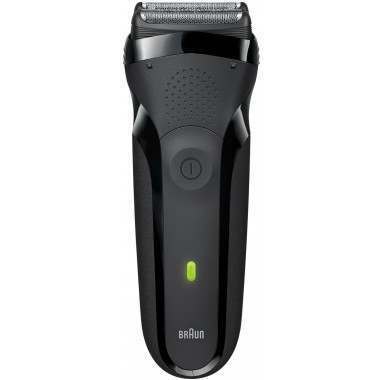 Designed and engineered in Germany, the Braun Series 3 300s shaver is built to last. 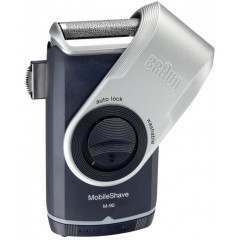 The Braun 300s features both twin foils and an integrated middle trimmer to help shave progressively closer. They work together as the ultimate duo, cutting both long and short hairs with every stroke, proven to work on even the tough 3-day beards. 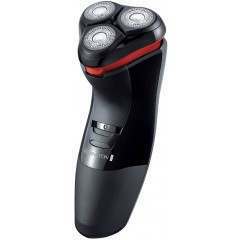 The Braun shaver also features 2 of it's specially design SensoFoils to help deliver an efficient close shave, whilst providing a gentle shaving experience to ensure your skin feels comfortable at all times. 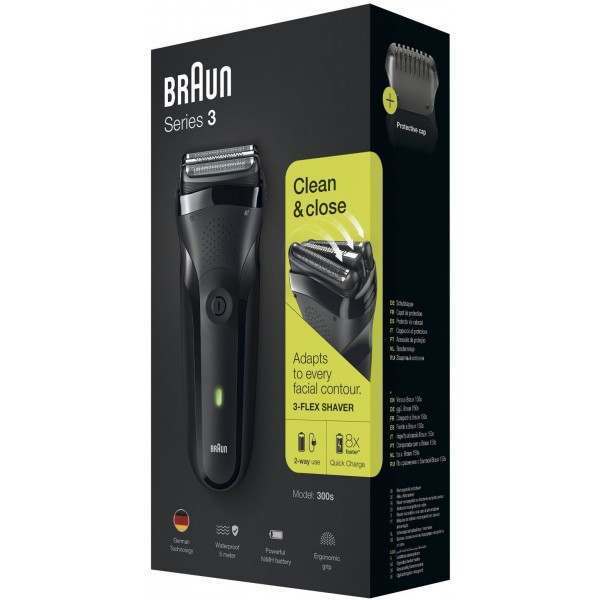 The Braun Series 3 300s electric shaver is 100% waterproof and IPX7 certified, meaning it can be submerged in 5 meter deep water without an issue in sight. 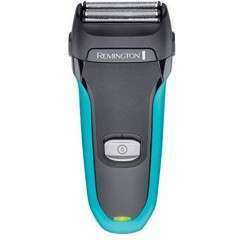 This ensures you can keep the shaver clean by simply rinsing under running water. 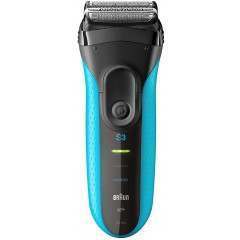 The handy LED display will indicate when the battery is low, ensuring your shaver is good to go whenever you are. The use of 2 rechargeable Ni-MH batteries ensures the Series 3 ProSkin is providing constant powerful performance. A full charge takes just 1 hour and gives you 20 minutes of running time. In a rush? 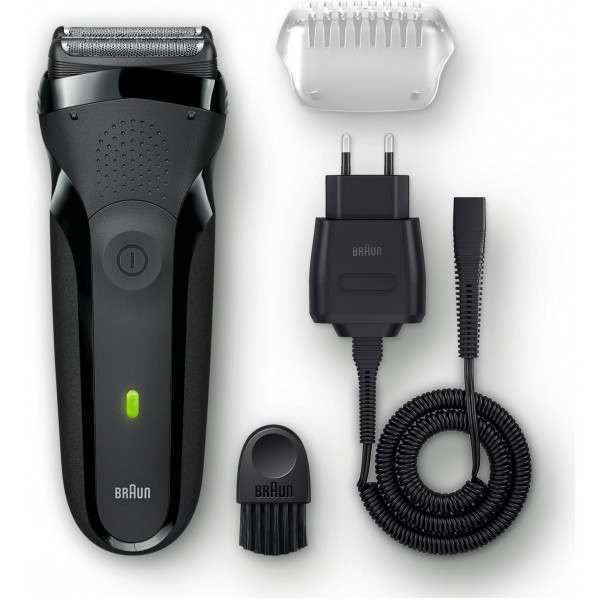 A 5-minute quick charge provides enough power for just 1 shave. Going travelling? 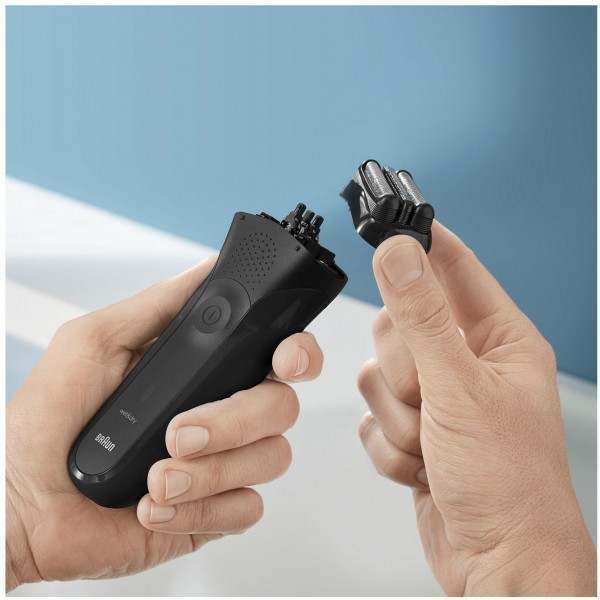 The featured Smart Plug automatically adjusts the voltage to wherever you are in the world, so you can take your favourite shaver with you anywhere. 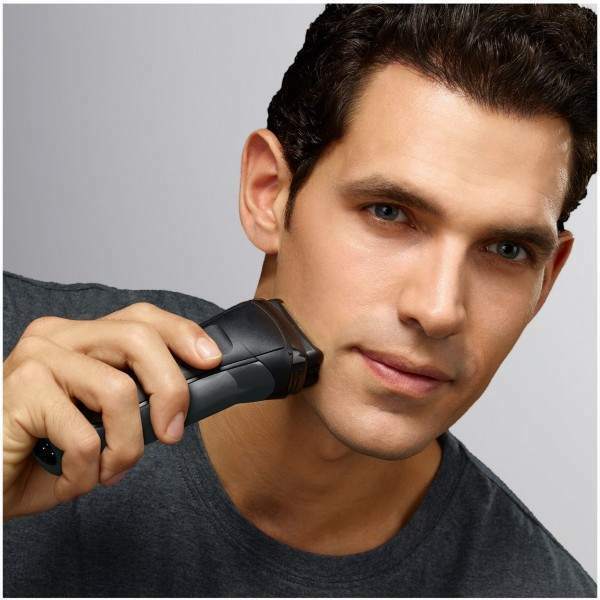 Check out our blog for shaving tips, provided by our expert team. 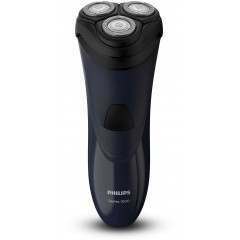 Great shaver for the price, very quick free delivery! 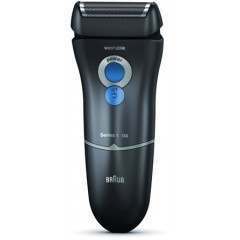 Have not replaced my Braun shaver for some years now. 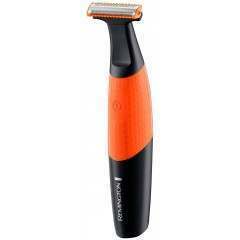 What a pleasant surprise, a really smooth shave and very close. Recommend anyone to change.